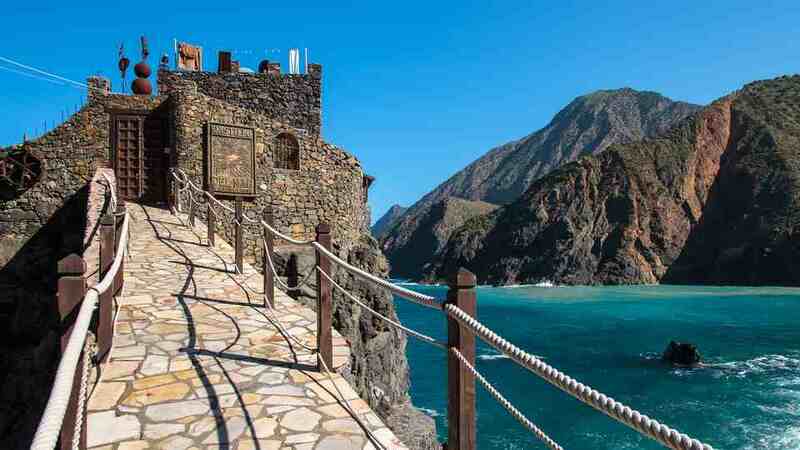 Sprawled in La Gomera‘s western part is the glorious Vallehermoso. As the largest in the island, the vast municipality is home to various types of terrain. Its coast, although not always welcoming to eager swimmers, is also stunning. Here, vacationers are close to natural wonders and can walk in towns where time stood still. La Gomera was once a kingdom under one ruler. After the death of King Amalahuigue, however, the island was divided into four smaller territories: Mulagua, Ipalán, Agana, and Orone. Then, the conquest and eventual fall of the Canaries came. Today’s Vallehermoso was, at that time, part of the last two cantons. It wasn’t until 1678 that it was finally declared a separate municipality. In the 16th century, the vast area started sugarcane cultivation. This industry well lasted until the 18th century and was the force behind the population growth. While other regions were experiencing economic hardships, Vallehermoso was the engine that kept La Gomera afloat. The 19th century was an entirely different story as the demand for sugarcane significantly dropped. Alas, the era of agricultural prosperity brought by this particular crop came to an end. Other produce such as tomato and orchilla, unfortunately, didn’t return enough profit. Nonetheless, Vallehermoso still expanded with the addition of Chipude in its territory. 1910 came and what was once fields and fields of sugarcane were turned into banana plantations. Sadly, the resurrection of the farming industry was short-lived. 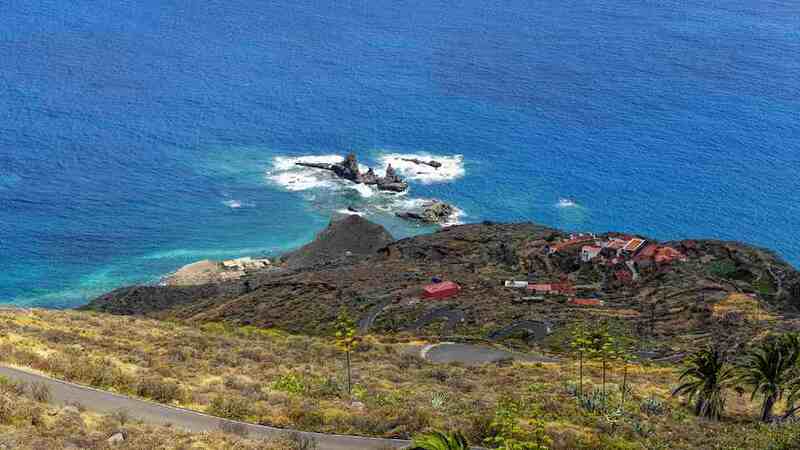 Many years of political turmoil in La Gomera caused many of its inhabitants to leave the island for greener pastures. A good number moved to Venezuela and other countries in South America. Tourism eventually landed on its shore by the 90s and has been the primary reason for the surge of developments in the green isle. Holidaymakers who wish to witness pristine natural beauties at every turn have Vallehermoso to add to their destination checklist. They can watch the world go by while sauntering its timeless towns. If admiring its landscape from a distance doesn’t suffice, they may hike through its captivating features. In this municipality getting close to nature and experiencing rich culture is effortless. Rising from the hillside of Vallehermoso is the unique-looking Roque Cano. It has quite a portfolio that attests to its landmark status. 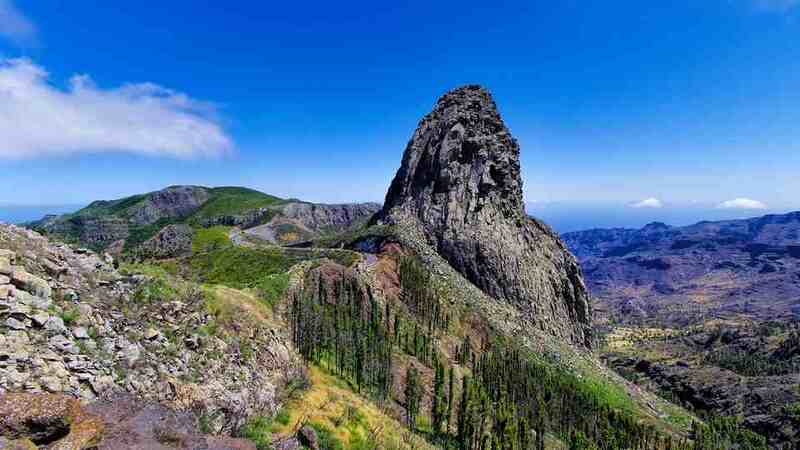 Considered a symbol of La Gomera, it is its most significant geological rock in the north. The municipality coat of arms also bears its image. Now wonder hikers from all over the globe travel here to climb it. Chiseled out of the north-west coastline of the island by the harsh Atlantic waves, Los Órganos is an all-natural spectacle. Unlike the prior that is visible from many parts of Vallehermoso, the cooled mass of magma remains hidden from the inland but out in the open from the sea. The only way to see it is by joining a boat excursion. 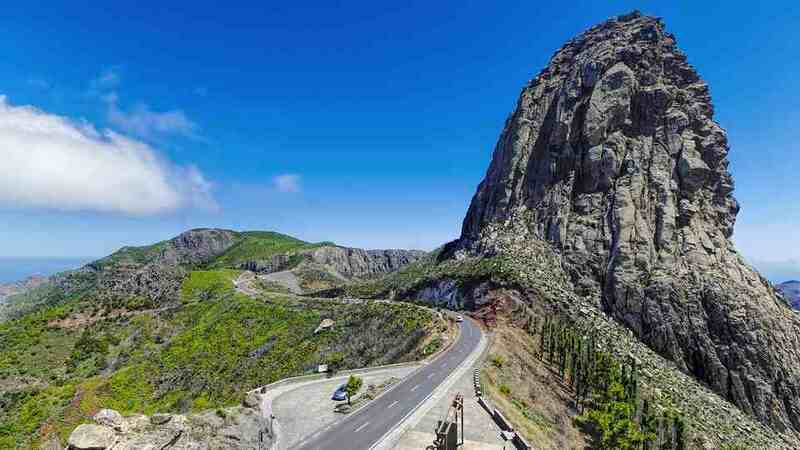 La Fortaleza is an imposing beauty at 1241-meter-high. Even in the time of the original inhabitants of La Gomera, it already played a vital role. As such, its flat summit is home to several valuable archaeological sites. Today, vacationers can admire it from the nearby town of Chipude or hike to its peak. Erques-La Rajita and La Negra, the two ravines of Orone, are also favored by hikers. 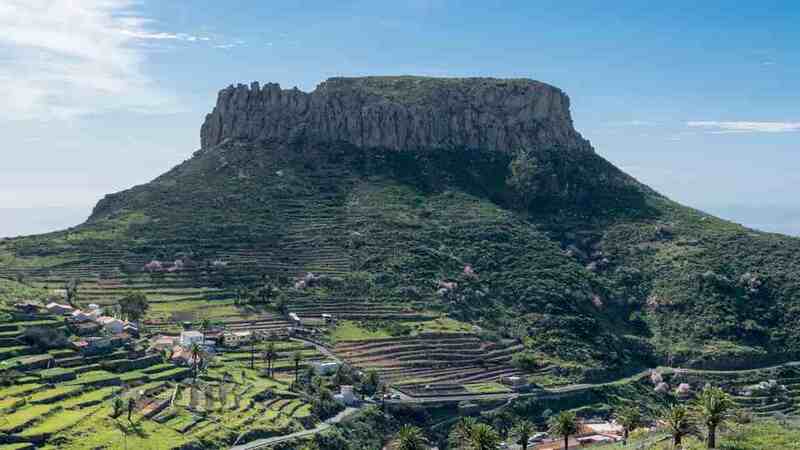 Aside from the breathtaking vistas that enthralls adventurers, the semi-abondoned villages of Erques, Erquito and La Rajita are also a must-see. Somehow, they have this melancholic charm that makes the walk and visit worth it. 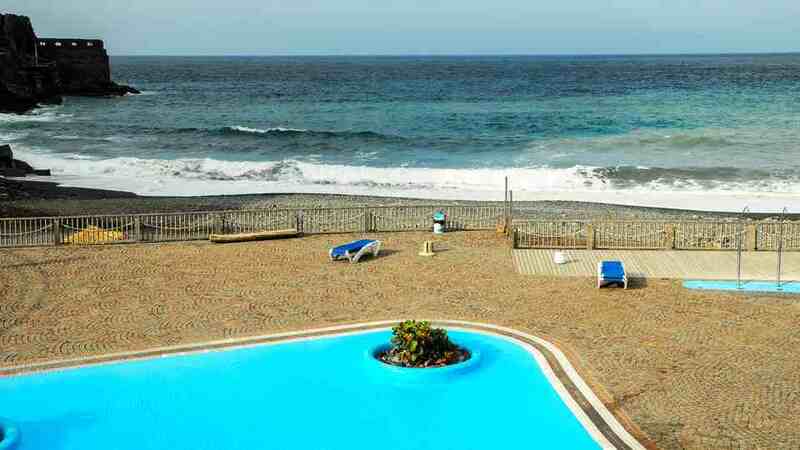 Only three kilometers from the town center is the stunning beach of Vallehermoso. With towering cliffs surrounding the unspoiled gravel beauty, it is gaining popularity amongst holidaymakers. As marvelous as it looks, though, its choppy bay is only for experienced swimmers. Those who wish to take a dip can still do so in the seawater swimming pool built just beside it. Fitted with changing rooms, showers, and a snack bar, the complex is very much like a tiny resort. Here, visitors can swim, lounge around, and bask in the sun and all the glorious panoramas. Built in 1890, the former banana loading station in Playa de Vallehermoso is quite an intriguing structure. It stands at the bottom of the cliff, and its platform extends to the sea. From here, people can admire the wondrous beach and the silhouette of Mount Teide. Today, apart from being a tourist attraction, it also hosts cultural events. Mountainous landscape and palm trees ring in the dam of La Encantadora. From here, Roque Cano is also visible. For those who would like to enjoy a tranquil setting without breaking a sweat, this place is a great option. Picnics are also allowed, so it’s a pleasant place to visit with family and friends. Of course, the municipality has something to offer plant enthusiasts. Get to know the endemic floras of La Gomera in Jardín Botánico del Descubrimiento de Vallehermoso. The 16,219-square-meter botanical garden, constructed in 2000, also houses plant species from the other Canary Islands and five different continents. The clock stopped ticking a long time ago in some of Vallehermoso’s villages. Serene and timeless, they embody the authentic rural Canary Islands that has since been lost. The north-west of the island is particularly rich with those kind of hamlets. Hear the crashing waves in Arguamul and Alojera. 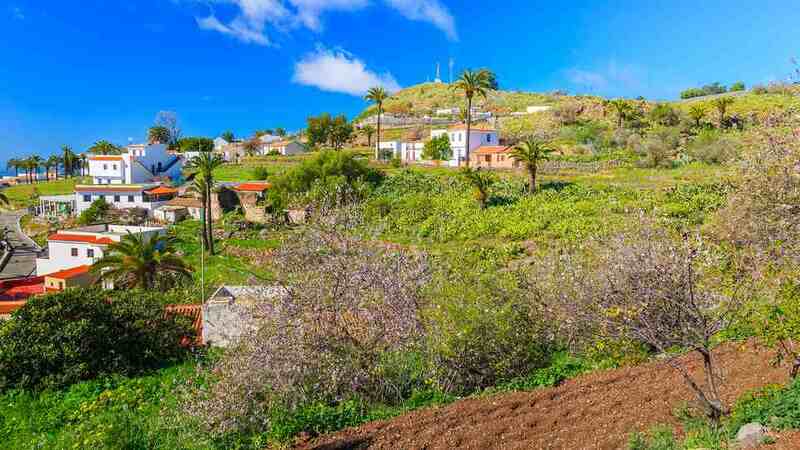 Visit one of the island’s oldest church, Ermita de Santa Lucía, in the mountain-top Tazo. Not in that region but undoubtedly a must-visit is El Cercando. It’s in the center of the island and is a go-to for people who love pottery or want to it. 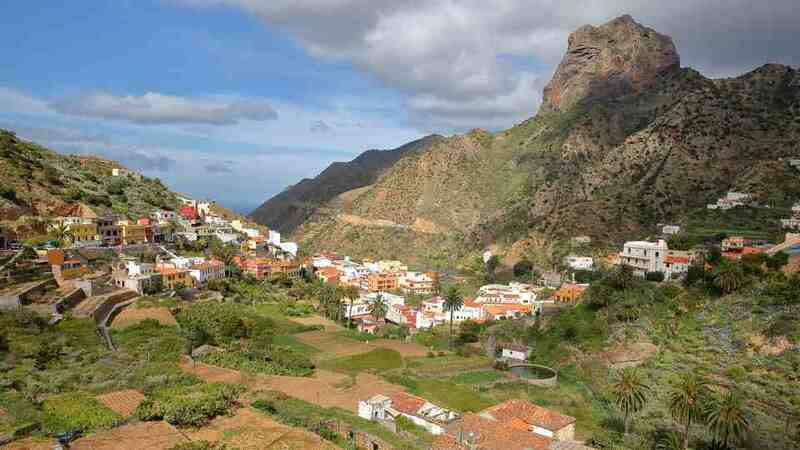 Tourists arriving in La Gomera by plane and going to Vallehermoso by public transport have two options. From the airport, the fastest route is by going north. Take bus number 06 to El Cercado, Chipude, and Alejeró (towns in Vallehermoso). To go to the town of Vallehermoso, they must stop at Las Hayas and take bus 04. Another option and is to head to San Sebastian first via bus number 07. From the capital, bus number 02 will go straight to Vallehermoso while 03 goes to Alajero. Those arriving by ferry must take either of the two (depending on where they plan to go). Once already in the town of Vallehermoso, travelers can take bus numbers 04 and 05 which stops at the different towns in the municipality. From the airport to the town of Vallehermoso, drive along GM-2 then GM-1. If coming from San Sebastian, GM-1 will take them straight to the town center. When planning to spend a holiday in Vallehermoso, dismiss the idea of staying in a lavish hotel. Sojourning in this municipality means living like the locals and being close to nature. With unspoiled scenery right next door, it’s no surprise people are moving here for good. Many vacationers opt to stay in the town of Vallehermoso as it is near several natural landmarks and is fitted with ample commercial establishments. When in the heart of the municipality, the three-bedroom Casa de Telégrafos is an excellent choice. Guests can get relax in the cozy seating area or cook when and what they want in the fully-equipped kitchen. They can also admire Roque Cano from the roof-deck. When going to El Cercado whether to learn pottery, hike, or just unwind, Casa Vista Bella’s door is wide open. It comes with a lounge, dining area, and a well-furnished kitchen. The outdoor features of the property are also desirable. Travelers can relax on the seating area of the sun terrace while admiring the commanding La Fortaleza. From the Apartamentos Clary, tourists are free to cherish the magnificent Atlantic and surrounding mountains any time of the day. Heading to the beach is also a must as its only a nine-minute walk away. The property has two apartments; both can cater up to five persons, have two bedrooms and fully equipped kitchen. Most of La Gomera’s best international food establishments are in San Sebastian and Valle Gran Rey. Vallehermoso, however, has a good share of excellent Canarian restaurants. For true island flavors with a touch of Spanish and Mediterranean taste, there’s no need to search outside the municipality. Vacationers in Vallehermoso (the town) should not miss Tasca Restaurante El Carraca and Bodegon Restaurante Agana. Literally split in half, the prior is a bar on one side and a seated restaurant on the other. Morcillas Caseras (homemade blood sausages), Albacore A La Plancha (Grilled Longfin Tuna), and Leche Agana (baked egg custard) are their best-sellers. On the other hand, the latter is a local favorite known for their huge pork chops, Costillas con papas y piñas (Ribs with potatoes and pineapples), Escaldón, fish soup, queso frito, and Leche Asada. To sweep your partner off his or her feet effortlessly, drop by Prisma. Don’t think it’s only for couples, though. All seafood lovers near or in Alojera should try their menu. Their tuna salad and “catch of the day” selections are always cooked marvelously. Diners can enjoy a meal and a glass of wine while watching the waves crash against the sea wall. They can also play with the friendly neighborhood cats if they want. Bar Victoria is a favorite amongst La Fortaleza hikers and El Cercado visitors mainly for three reasons. They have a wide range of local wines, inexpensive but delicious food, and the encompassing scenery is heart-stopping. Their must-trys include watercress soup, beef and goat stew, pork liver and mojo picón, almendrados, almogrote, goat cheese, and milk pudding with palm honey. There’s an avalanche of destinations with prime facilities and amenities in the world. Unscathed natural beauties, though, are rare and becoming even rarer as time pass by. The municipality of Vallehermoso is one those few places. 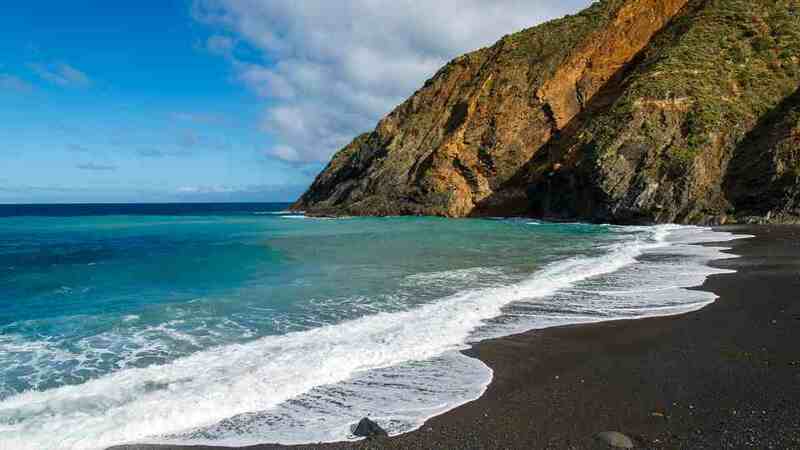 For travelers who desire pristine nature and serene towns, travel to the west of La Gomera. It is where they can go back to basics and just enjoy the scenery for what it is — beautiful and breathtaking.